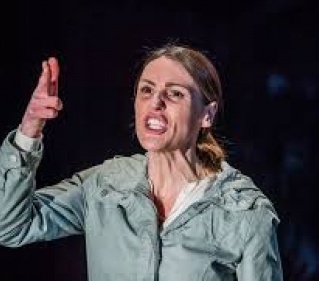 Not sure what’s more surprising: that Byrony Lavery’s clumsy and ungiving study of child-abuse and forgiveness won so many awards on its premiere, or that the estimable Suranne Jones, Jason Watkins and Nina Sosanya were lured to Jonathan Munby’s starkly exposing revival. Watkins’s hateful serial offender rapes and kills the daughter of Jones’s Nancy: Sosanya’s psychologist, suffering glibly uncomparable guilt and grief of her own, investigates if he’s evil or ill – abused turned abuser. It unfolds mostly in clunky monologue studded with awkward attempts at humour and despite sterling attempts by the leads fails to convince either as an intellectual or human drama. 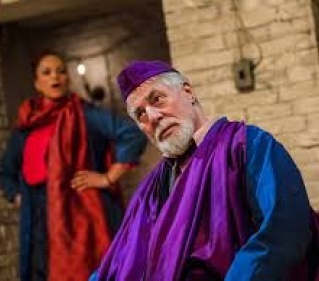 One can see the thinking behind Barrie Rutter’s final production for Northern Broadsides – John Dryden’s slice of Indian exoticism, originally titled Aureng-zebe, renamed and reclaimed by a mostly Asian cast. But the play is a confused tale of family struggle and love told in tum-ti-tum rhyming couplets, and the setting in a Bradford textile mill adds nothing. Worse, the acting is subdued and school play-ish, with Rutter himself (as the emperor, one of at least four characters in love with Neerja Naik’s titular queen) particularly stiff and strange. This ballsy company shuts up shop with a whimper, rather than a bang. Richard Eyre brings a fresh familial realism to Eugene O’Neill’s harrowing autobiographical drama, in a production where the role of Mary Tyrone, often sidelined by the men, is given a lambent intensity by Lesley Manville. She twits and frets over her husband and sons as each family member descends into a particular self-inflicted oblivion. 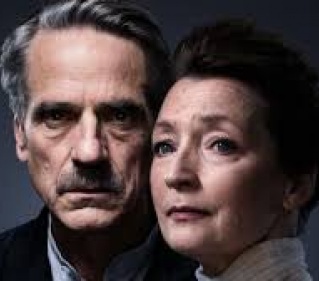 Jeremy Irons is well-cast as handsome ham James Tyrone, snuggling into the role like a well-worn smoking jacket. Matthew Beard impresses with his passionate delicacy as Edmund. It does grind on a bit, after the 200th minute, but a fellow critic called this “the saddest play ever written” and I can’t improve on that. 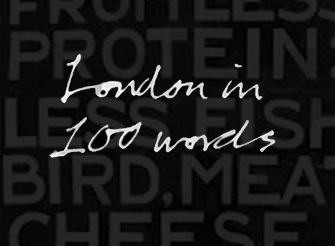 Sarah Burgess’s play is a smart, snappy, somewhat predictable indictment of high finance with a delicious antiheroine. Hedge fund manager Jenny is a millennial Gordon Gecko, a money-making calculator without empathy or guile, and she is brilliantly incarnated here by Hayley Atwell, all raptor smirks and does-not-compute tics. Jenny’s rival Seth (Tom Riley, a deft foil) brings their boss Rick (Aidan McArdle) a deal to restore the firm’s tarnished reputation, but our Jenny sees dollar signs. Will conscience or capitalism win? Take a wild guess! But it’s credit to Burgess, to Anna Ledwich’s sleek production, and most of all to Atwell, that we come out rooting for Jenny. 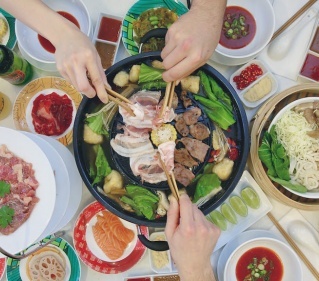 To Mookrata, which friends immediately dub ‘muckraker’, a six-month Thai pop-up above Shuang Shuang serving the eponymous mashup of Chinese hotpot and Korean barbecue. Broth (ours was fragrant, creamily yellow Pad Thai) is poured into a reservoir around a central hotplate: you cook veg in the liquid and protein on top. The fun of DIY dinner is slightly lost on someone my age, but I was impressed by the freshness and abundance of the ingredients, the bold flavouring and above all the price. Were I young and on a date and looking for something to break the ice, or simply starving for copious spicy food, this would be ideal.